I’m spending more time on tanglad.tumblr.com. And I’m looking for fellow Pinoy kasamas on tumblr. Mag-hello naman kayo. Tadiar labels these diminished experiences as things that “fall away” from capitalism, activities that are productive but not in the ways that are prescribed and recognized by neoliberal capitalism. Like performance. Art. Indigenous women’s labor collectives and seedbanks. Movement, and being outside. But I’m struck too at how she includes activists, feminists, revolutionary forces among those who diminish such “fall away” experiences, especially when they’re not easy to reconcile with what is seen as the “proper” historical subject. Because it is easy for someone like me to speak for masa in solidarity, to find that a peasant community’s struggle for for a health clinic and the struggle for land reform are equally important. They might not be, for the peasants who are still without healthcare. I’m reminded of an argument with a friend, who patiently listened to me rant about Catholicism and false consciousness, opium, etc. She then reminded me that Liberation Theology could not have been foreseen by non-Catholics, or even by former Catholics like me. It’s a theology of faith, love, freedom, and revolution that could only have been nurtured in this specific community, a community that I had arrogantly dismissed. I’m still struggling through Things Fall Away, and with questions of how to conduct ethical dialogues and coalitional research. Especially since I will soon be embarking on ethnographic research, and its easy to fall into the trap of thinking of oneself as an ally who could speak for people in a marginalized community. The researcher who does that will never even be aware of the experiences that she will miss, of the great possibilities that could just fall away as a result. Noah Mae speaks and dreams in Hebrew. She is one of the more than 1,000 children of migrant workers who are scheduled for deportation this year. She may have something there. After a year of riding, it’s still a nice surprise every time I see other people of color on the trail. There’s a Pinoy group, and a few Pinoy friends and family who ride with me when they can, but mountain biking (and trail running, I think) still seems pretty whitestream. And the less I dwell on the mountainbike boards, where a post asking “Any Pinoy riders in SoCal?” was met with a flurry of “I’m forming a whites-only riding group” posts and charges of “reverse racism,” the better for my sanity. I snicker at claims that modern mountain biking was born in the 1970s, when a bunch of NorCal dudes started downhilling Mt. 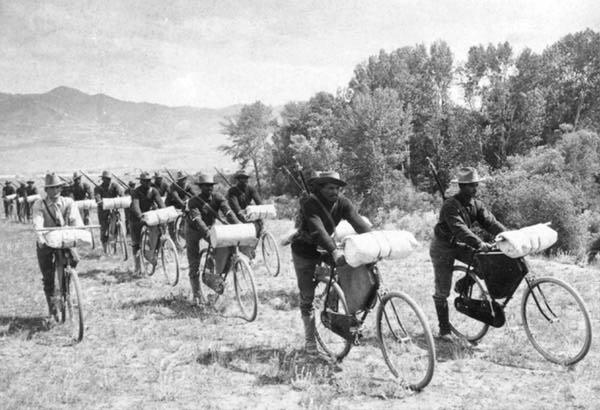 Tam and when road bike companies started manufacturing mountain-specific bikes. As a kid in the Philippines, my partner M used to ride his bike in the fields behind his house. It wasn’t called mountain biking then, of course. Just a bunch of kids riding their bikes where they could, like countless kids have been doing since bikes were invented. But that probably doesn’t count as modern mountain biking. Or as mountain biking, for that matter. And they rode wagon trails through the Rockies on steel singlespeeds that weighed about 70 lbs (including gear). Damn. POCs on mountain bikes rule. 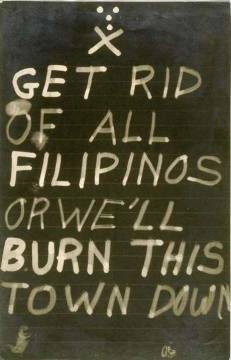 At the nexus of a prevailing Filipino American discourse that celebrates the Filipino-American as a cooperative participant in the United States nation-building project sits an “unnamable violence” that masks the genocidal preconditions of “multiculturalist white supremacy to which this discourse unwittingly subscribes…It is as if being empowered through, and therefore more actively participating in the structures of U.S. state violence, white supremacy, and global economic and military dominance is something to be desired by Filipinos. How could these acts of desiring what is in the colonizer’s economic and military interests, specifically on the part of Filipino elite, be explained? 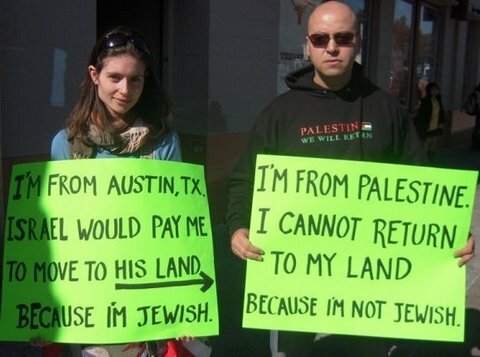 Especially when these colonizer interests run counter to their own? In his The Repeating Island, Antonio Benitez Rojo wrote of how common social and cultural practices make visible the Caribbean islands’ shared histories of plantation slavery. Benitez Rojo writes that these similarities stem from their common experience of the plantation machine—a colonial apparatus set up to extract resources from the colonies to profit the metropole. But in addition to producing profits for the colonizers, the plantation machine also produces a way of life. And long after overt colonialism has given way to postcolonialism, the plantation machine continues to produce and reproduce “the type of society that results from their use and abuse” (8-9). Last week’s Philippine elections are making me reflect on Benitez Rojo’s metaphor of the plantation machine. The new president, Noynoy Aquino, is part of a powerful political landlord family whose collective hands are still bloody from the Hacienda Luisita massacre. The Marcos family–yes, including Imelda–have been re-elected back into office. And so has former president and incoming congressional representative Gloria Arroyo, who has just appointed her lapdog as the new Supreme Court Chief Justice to preside over her impending graft cases. The most surprising thing about the elections, in fact, is reflected in Inquirer headline the day after: “Fast count stuns nation”. So what are the plantation machines working here? An observation from an acquaintance. Many Filipino businessmen, he said, find that they already had an “in” with their counterparts from Saudi Arabia and other Middle Eastern countries. That young businessmen from the Middle East felt an affinity with Filipinos. Magaan ang loob. The reason? These businesspeople from the Middle East grew up with Filipina nannies. Because of their carework, said this acquaintance, Filipina women are in such positions of influence over the next generation of businesspeople from the Middle East. Pinoy entrepreneurs, he said, could use trade on this predisposed goodwill as capital. The gender dynamics of Filipino labor migration shifted around the 1980s. More women were recruited for domestic work, a trend that continues today. An estimated 70 percent of the 3,000 Filipinos who leave the country each day due to labor migration are women. I had already known Filipina mothers work as nannies and caregivers, even as they leave their own children behind. That these women’s labor feed the remittances that keep the Philippine economy afloat. And that all these benefits to the country, to the private sector, have come at great personal cost to women who spent years away from their own children. But it still makes me sad and angry to note that decades later, long after their children had grown up without their presence, these women’s labor and sacrifice continues to generate wealth. But not for them.